We offer clients a straightforward and easy to use online ordering experience, where all products are available with images to help identify printed forms. It’s a simple pick and click system offering individual quantities and delivery addresses. All accredited users have their own secure login and password. Our warehouses in Wickford, Essex and Greenwich, London hold all stock for picking, packing and despatch. 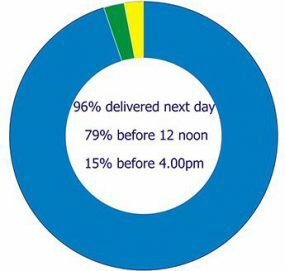 All orders received by 3.00pm are sent out for next day delivery. are made the day after collection. couriers who provide Vans and Motor Bikes. or unable to locate the address. © 2019 All rights reserved by MWM. | Developed by Ambosco Ltd.